FLEXMAIL 03-2012 - Hose crimpers, hydraulic crimpers, Workshop crimpers, Production crimpers : UNIFLEX of America LLC. 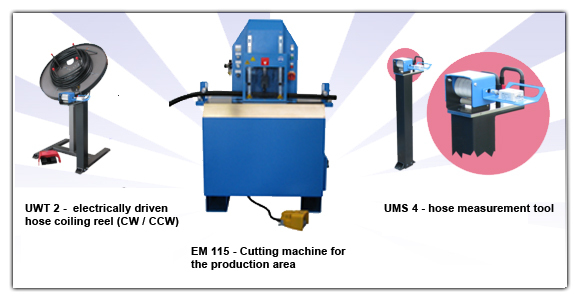 UNIFLEX cutting machines are equipped with German engineered steel blades and optimized drive motors. Their design features deliver fast clean cuts, safety and productivity. Review of anniversary celebration "40-years of UNIFLEX"